So this is the year of gears for me in cyclocross. After all my complaining last year about not having the right gear for the right situation, this year with my 1×9 gearing setup I’m bringing 8 more options to the table at every race. More gears; more tools for different situations, and you’d think this would yield a tremendous improvement in my performance. I mean, how could it not. Interestingly, almost nothing has changed. My placing is almost the same, if not worse, even though I feel like I’m much faster than last year. My bike is also a hell of a lot lighter than ‘ol Stompy, so…what the hell? This of course keeps me up at night, so I have a few theories. 1. Less recovery. On my singlespeed, I had times where I had no choice but to recover, since on flatter and downhill terrain I would spin out. These forced recovery periods allowed me to regain composure. Composure then leads to better decisions, better lines, and evidentially, better lap times. On the Major, I am cranking in the hardest gear I can find the entire time. Subsequently, I’m probably riding way too hard, blowing up early, and operating in survival mode for most of the race. I don’t wear a heart monitor when I race cyclocross, so this will remain mostly theoretical. 2. Different attitude. On Stompy, I felt kind of gimmicky. I was out there trying to blow away people on geared bikes. I would ride more patiently, picking off riders, having no aspirations of winning the race, because it didn’t seem mechanically possible. With the Major, I feel completely different. I feel like I have no option but to go out and try to win, since I’m now on what I consider a more level playing field, since I now have gears. As such, again, I think I go out way too hard and blow up. 3. Less momentum. Even though I feel faster on the Major, I think in general I hit terrain with less momentum. I know I have the crutch of easier gearing, and I use it. I rarely stand in races now, and after some conversation this week, this is probably costing me time all over the place. With one gear, I had to jump on it all the time. It sucked a lot more, but it was faster. And for as much as it sucked, again I had those forced recovery periods. It worked itself out. So all this is kind of leading me to not necessarily go back to ‘ol Stompy, but to maybe strip off the running gear on the Major and go singlespeed again on that frame. I have a few SS calculators, and one seems to think my preferred 42×20 combination from last year will work without a tensioner. I have a feeling I’ll try it soon. Gloucester is my next event, which is where I felt I had a lot of success with that gear combination, so maybe by then. And if not by then, without a doubt by Orchard Cross, which has an irresistible costume+singlespeed category. 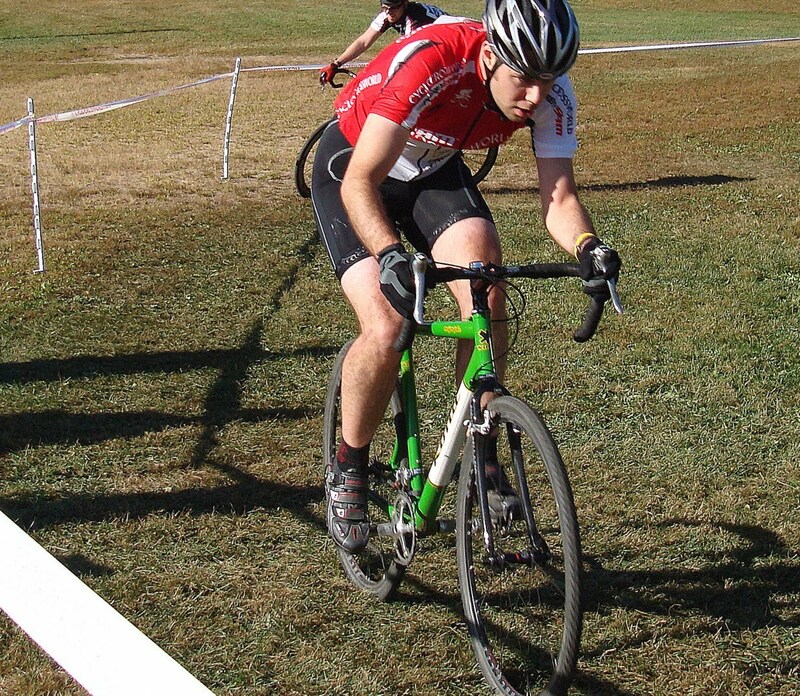 Previous Previous post: You could look worse in a cyclocross race….